Punta Cana a district in the Dominican Republic is one of the famous honeymoon destinations, and many couples want to start their new life with a good stat. The honeymoon is one of the important aspects in any newly wedded couple, and it considered as the beginning of a new life as a married person. That is why many couples want to start their life in romantic places such as Punta Cana, and they want it to be as unique as possible. The Beautiful Weather: You can expect the pleasant year-round weather in the Dominican Republic, which is one of the main reasons why many people prefer Punta Cana as their honeymoon destination. The fact is, the temperature will always stay between 70 and 80 degrees Fahrenheit, and the rainfall is the lowest in the Dominican Republic. You are guaranteed to enjoy the beach weddings and dinners as it will never get ruined by rains. However, it is advisable not to go during the hurricane season that is from June to November. The vast range of luxurious all-inclusive Resorts and Hotels: The Punta Cana filled with lush greenery, and it provides several resorts and hotels for visitors. Most of these resorts offer wedding and honeymoon packages. The Paradisus is a very popular resort in Punta Cana as it offers the rainforest kind of atmosphere. Choose Iberostar Grand Hotel Bavaro an all-inclusive hotel for more activities, as it offers a bunch of activities, that you cannot find anywhere else. But, if you are looking for something more elegant and sophisticated, then choose adult-only Barcelo Bavaro Beach, where you can enjoy a remarkable honeymoon, and there are several more resorts and hotel that also offer fantastic deals and packages for newlyweds. The Flawless, Natural Land: The Punta Cana coastline scattered with luxury hotels and resorts, but there is more land where you can explore and discover. In Punta Cana, it is illegal to construct taller buildings that are taller than palm trees, which assures a beautiful panoramic view of the natural land can still be visible. If you want to enjoy the flawless Dominican nature, then visit Indigenous Eyes Ecological Park in Punta Cana. It is one of the best places for a day activity for the couple who want to have a romantic getaway and have fun at the same time. The everlasting activities: Punta Cana is the perfect romantic getaway for the couples who love to spend their honeymoon just relaxing and lying on the white sand beaches, and enjoy their frozen cocktails. But, the place also has several other activities for the couple who love to play golf or water sport. 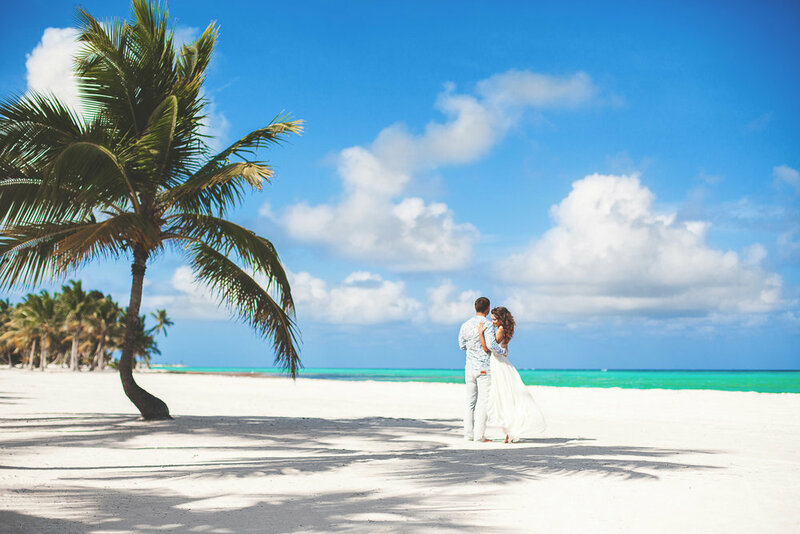 The Punta Cana has the world’s best golf courses such as Punta Espada and the Cana Bay Golf Club, the nightlife, and the water sports are some of the other activities that the new couple can enjoy when they are on their honeymoon. The beautiful and stunning Beaches: Punta Cana is famous for its picture-perfect soft white sand beaches filled with shady palm trees, so you can feel the cool breeze when you relax on the beach. The beautiful crystal clear, the serene ocean offers refreshing and everlasting memories. Many couples get nervous and anxious when they plan their honeymoon trip, which is very normal because it is the beginning point of their life to start as a couple and they want to start with a perfect and a happy note. The Honeymoon is the significant aspect that one has to consider to start your life as a married couple. You have to pay attention to every single detail when you are planning your honeymoon and in choosing the destination. The first thing that you should consider is selecting the perfect honeymoon destination. A romantic destination can bring more happiness to your life; you should also consider the budget for your honeymoon trip. As some honeymoon spots are very expensive, that is why many couples prefer to visit Punta Cana as it offers world-class resorts at the same time they are very affordable. The Punta Cana enclosed with several luxurious resorts and hotels, and most of them offer all-inclusive wedding packages and honeymoon packages at very reasonable prices. Choosing Punta Cana as your honeymoon destination is not only a perfect but also a wise thing to do. 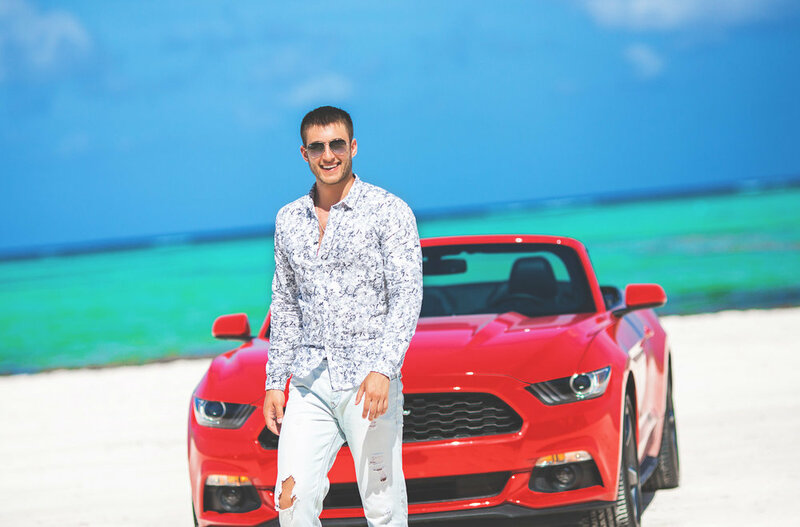 Punta Cana offers a natural setting for your romantic honeymoon as most of these hotels offers natural environments like soft sand beaches, palm trees, and beautiful turquoise waters and mountains. Punta Cana in the Dominican Republic is a perfect honeymoon destination in the Caribbean. Most of these all-inclusive packages offer different types of activities and excursion deals for newly wedded couple. You can enjoy horseback riding, Island tour, and truck safari at Samana, the place also offers beautiful natural waterfall, which gives a remarkable experience that you will never forget in your life. There are several other areas like El Salto Del Limon is one of the amazing and famous waterfalls in the Dominican Republic, where you can enjoy the crisp and pure waters backdrop. There are several other breathtaking views that you can find in Caribbean country the Dominican Republic. The place is the perfect honeymoon destination that the couple can never forget their experience throughout their life. Punta Cana is a great retreat for couples; it is the best honeymoon destination where you can enjoy great food and friendly hospitality. It recommended for everyone to choose Punta Cana for the special alone time. It is amazingly relaxing and the perfect getaway for couples and where they can take their romance to different levels. Visit Punta Cana and start your journey together with a peaceful and happy way.